CARFAX 1-Owner, GREAT MILES 31,167! EPA 34 MPG Hwy/24 MPG City! Onboard Communications System, Smart Device Integration, WiFi Hotspot, Aluminum Wheels, ENGINE, 2.5L DOHC 4-CYLINDER SIDI, TRANSMISSION, 6-SPEED AUTOMATIC, ELEC... CLICK NOW! Onboard Communications System, Aluminum Wheels, Smart Device Integration, WiFi Hotspot Remote Trunk Release, Keyless Entry, Steering Wheel Controls, Alarm, Electronic Stability Control. AUDIO SYSTEM, AM/FM STEREO WITH CD PLAYER AND MP3 PLAYBACK CAPABILITY (STD), TRANSMISSION, 6-SPEED AUTOMATIC, ELECTRONICALLY-CONTROLLED with overdrive (STD), ENGINE, 2.5L DOHC 4-CYLINDER SIDI with Variable Valve Timing (VVT) (STD). Chevrolet LS with Ashen Gray Metallic exterior and Jet Black/Titanium interior features a 4 Cylinder Engine. 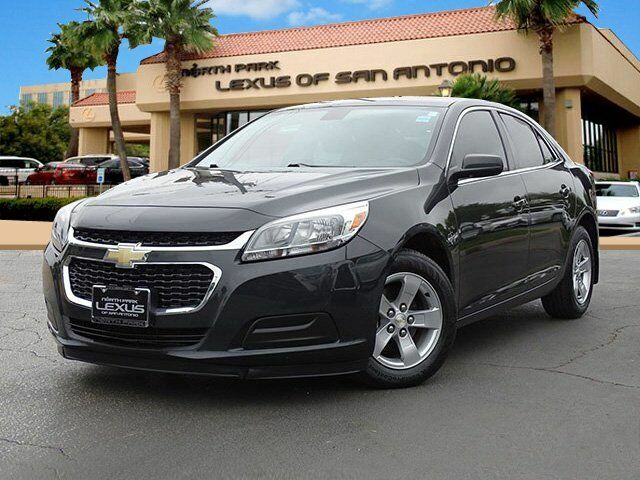 Brake Assist, 4-Wheel ABS, 4-Wheel Disc Brakes, Tire Pressure Monitoring System Great Gas Mileage: 34 MPG Hwy. Edmunds.com's review says "Excellent crash test scores; attractive interior; quiet, comfortable ride. ".